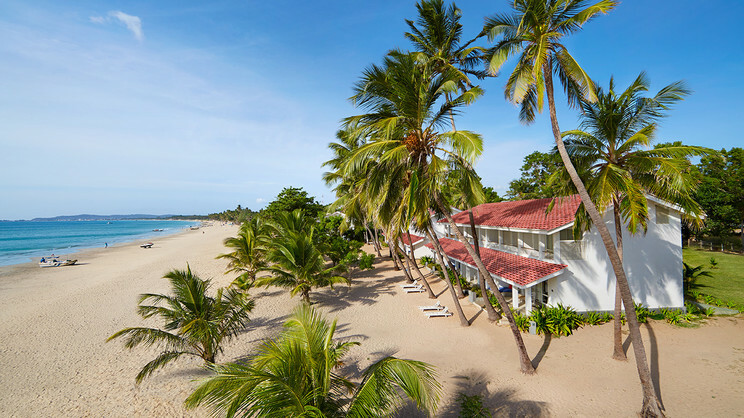 Experience sheer luxury in the stunning Trinco Blu by Cinnamon resort, situated on the idyllic east coast of Sri Lanka. An accommodation that is suitable for all guests, you’ll be treated to a hassle-free stay, just yards from golden sandy beaches and the heart of the Bay of Bengal. Why not take up the opportunity to go whale-watching with experts? Or if you’d prefer to stick poolside, then you can enjoy an array of great restaurants, featuring the freshest seafood. 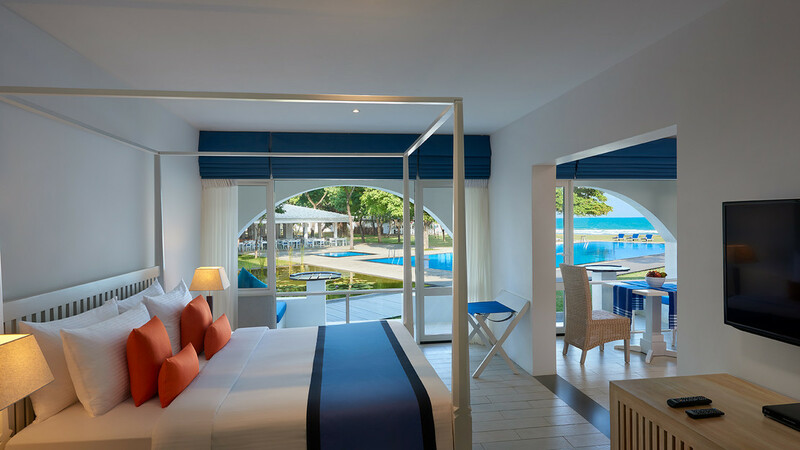 One thing you can be certain of, the Trinco Blu by Cinnamon resort will live long in the memory of any visitor, with an experience like no other thanks to the incredible marine life on your doorstep. 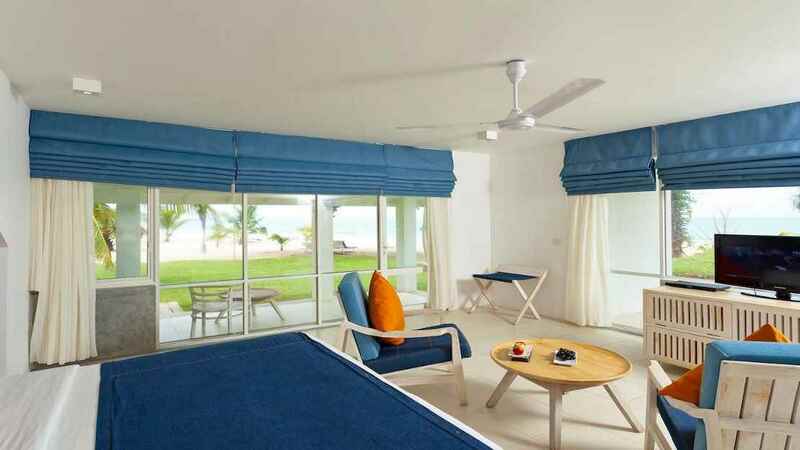 Trinco Blu by Cinnamon is located next to the beach. Trinco Blu by Cinnamon is close to a handful of shops, restaurants and bars. 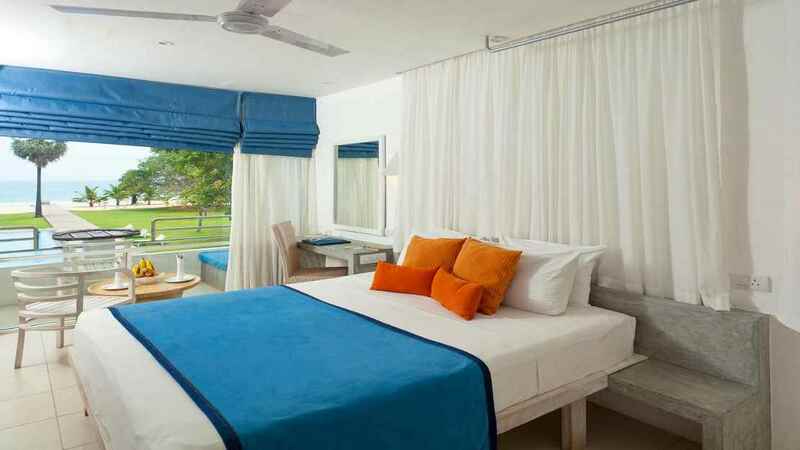 Trinco Blu by Cinnamon is approximately 240km away from Bandaranaike International Airport.